For two years, while living in Germany, I had been dreaming about flying again my beloved Cessna 172. Upon my return to the US last summer though, things had been too hectic and I had decided to postpone any flying activity to a later time.Finally last Friday, I flew to Phoenix to meet with Steve and on an early Saturday morning we took off from Chandler municipal for a cross country flight with destination San Francisco. The desert air was cold, calm and dry and the visibility practically unlimited. From hundreds of miles away we could see the snowy peaks of Big Bear, our mid-flight stop. 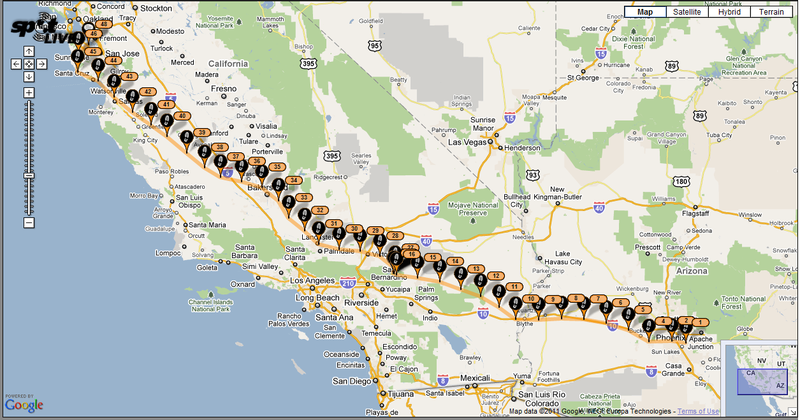 Technically we were already in California but still in the high desert clear air. Only an hour later we descended in the lower valleys flooded with moist and hazy ocean air. We continued flying north with the snowy peaks of the sierras to our right and the ocean to the left. 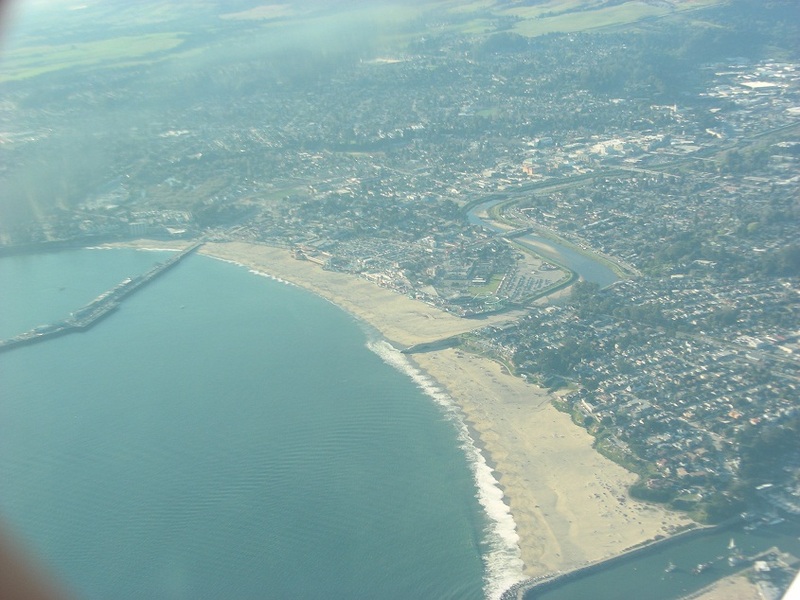 Our flight path cut the land diagonally and eventually we reached the shores of Santa Cruz. 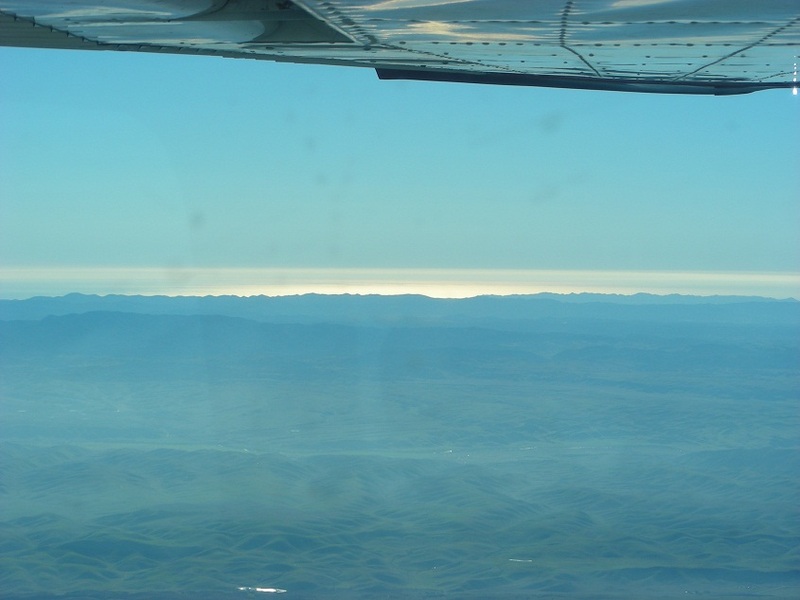 After overflying Half moon bay, we headed East to cross the hills enclosing the San Francisco bay and landed in Palo Alto.5 hours and 16 minutes on the log book!The following day a thick fog kept us grounded at the Palo Alto airport. Only after 1pm the thick layer dissolved and we took off for our first Bay Tour.We hired a local instructors to guide us in one of the nation’s most complex air-spaces. 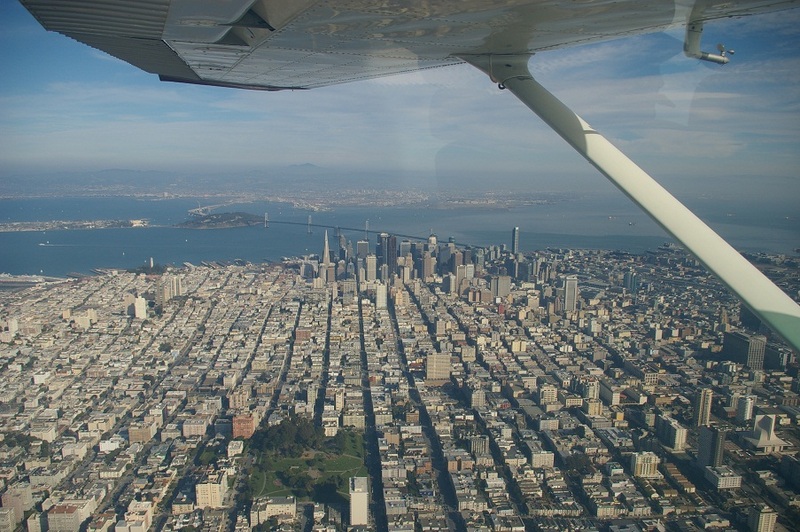 The controllers were incredibly accomodating as they routed us over Oakland, Berkley than across the bay to Sausalito and circling back to overfly San Francisco via the golden gate bridge. 1 hour and 30 unforgettable minutes on the logbook we were back to Palo Alto vectored to practice the GPS 31 approach!Life is good! This entry was posted in PIC32 and tagged Flying. Bookmark the permalink.